A Parenting Life: Aussie as bro! One of the great things about being a blogger is getting to try things I would not normally get the chance to. Now just between you and me wine is generally not my first choice of drink. My pallet tends to go for a cider or a spirit first. Though that could just be because they are something that can be shared with Mr Awesome who most certainly is not much of wine drinker. However after giving these little babies a go I am currently reviewing my wine drinking policy. Without a word of a lie they were some of the best wines I have ever had the pleasure to drink. Upon arrival of my delivery I carefully examined each label, you know just in case this non wine drinker had ever heard of any of the wine makers. I hadn't. 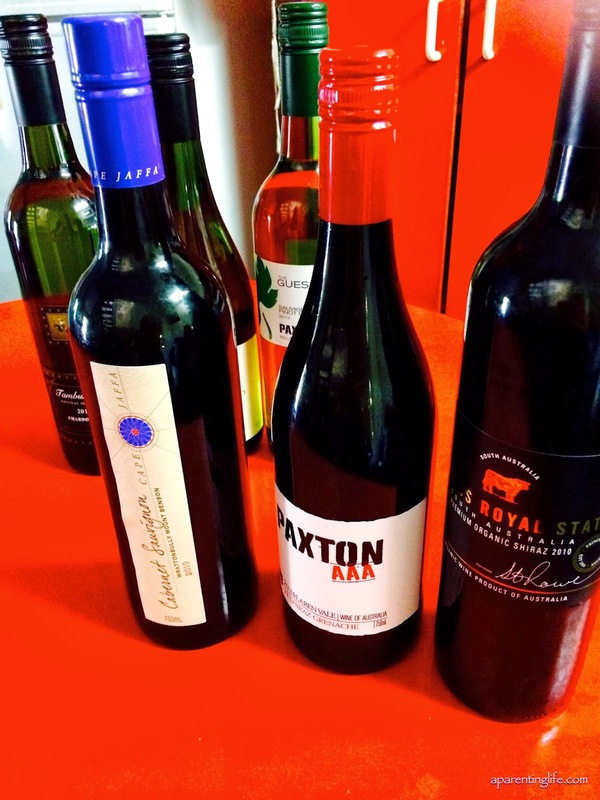 What I did notice though was that all the wines were Australian. Which being a few days out from Australia Day I thought was quite fitting. 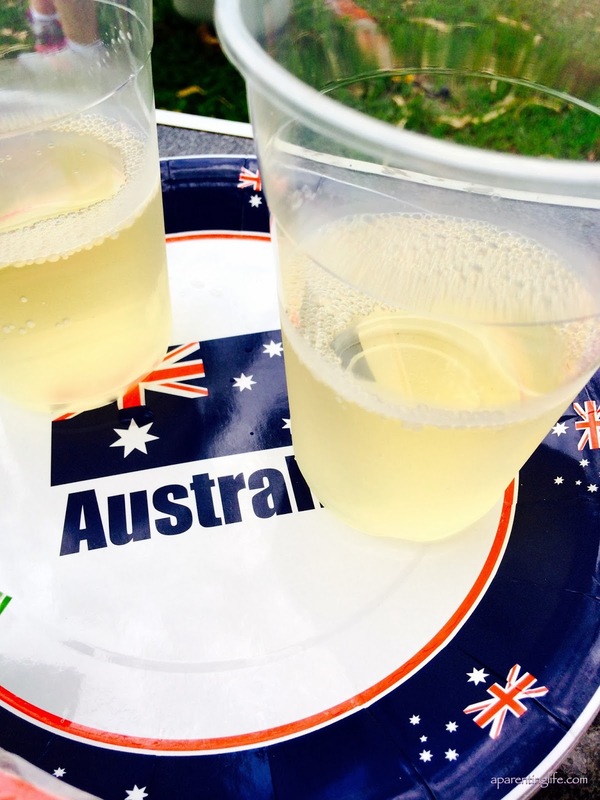 What I thought what was even more fitting was to share them with friends at our Australia Day bash. 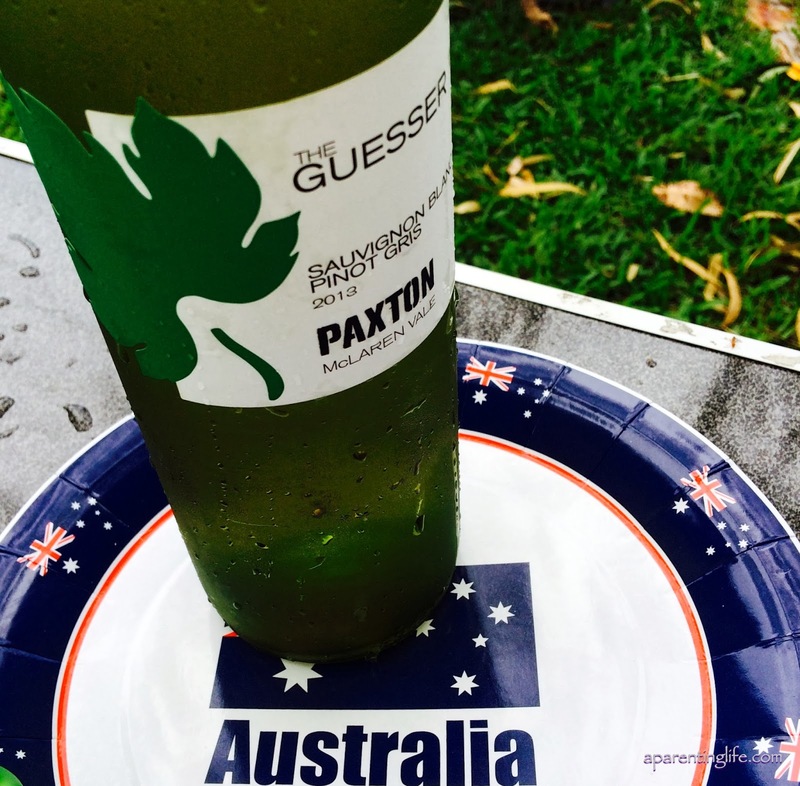 For those interested our Australia Day bash involved riding our bikes to a local park, setting up a heap of shade and a BBQ and then waving madly to all the utes in the ute run that passed by. I don't know what the attraction is, but I find there something incredibly awesome about standing by the side of the road and waving and yahooing at utes decorated with flags driving past. 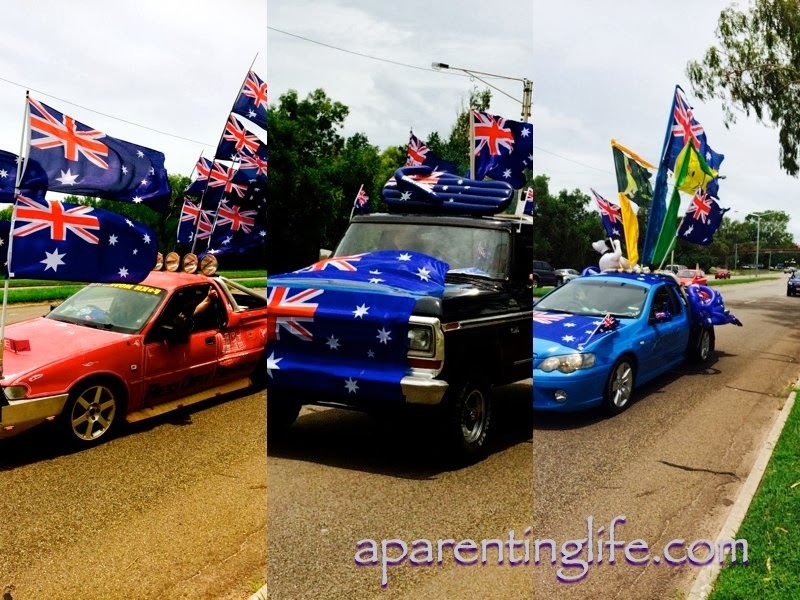 Every year the ute run is pretty much the highlight of my Australia Day. This year though I must say the wine did come pretty close to topping it. 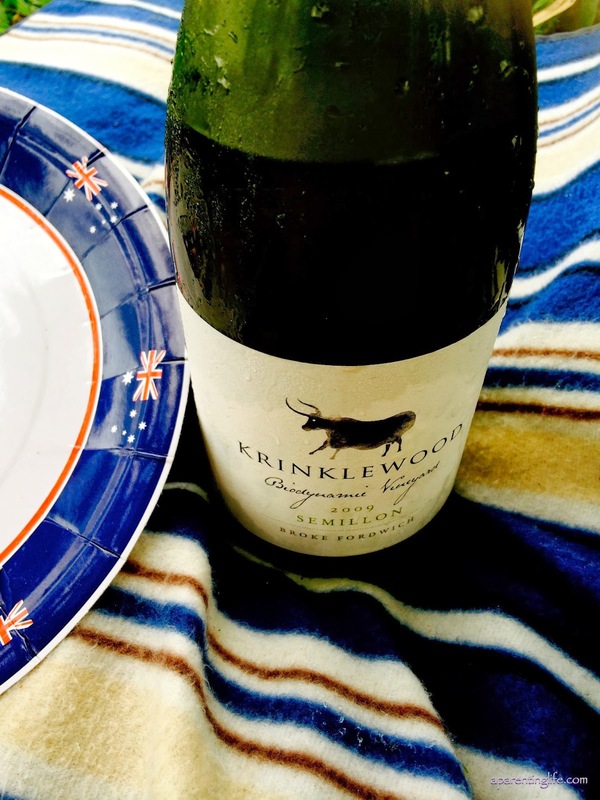 Once the excitement of the cars had passed we settled down to the rather enjoyable task of kicking back watching the kidlets run around and play while we sampled some rather delectable white wine and pretended to be wine connoisseurs. We smelt and sniffed and swirled. We did not however do any spitting because that is just a little bit wasteful when you are not really a real wine taster. Which was probably more than evident because we were drinking out of rather dodgy plastic cups rather than hand painted wine glasses. There was a third bottle. My favourite in fact (which naturally I don't have a photo for) it was a Tamburlaine Natural Selection Chardonnay. Turns out that not only are the wines all Australian they were organic as well. Which my buddies sampling with me, told me was why it tasted so darn good. The red wines, are still patiently waiting to be trailed and tested. Which going by the whites I am pretty excited about. As much as I have said I am not a wine drinker if I have the choice between red and white I will generally opt for the red. Based on how much I enjoyed the white I can only begin to imagine how wonderful the reds will be. Um, where is my invite???? Yeah, uhm. I am pretty sure you know how bad I am feeling about that right now. I just assumed you had plans. Sorry. I reckon if I was a drinker I'd be a cider girl too. I used to be a vodka girl, that didn't really work out for me ;) The ute run looks like awesome fun, hubby was in a truckies convoy to raise money for the kids' hospital a few months back and it was epic! I don't think I've tried organic wine yet but I'd be keen to! I am not a red drinker though, strictly white for me, although lately wine hasn't been going down so well, and I've been sticking to my Bacardi. I've tried to like wine, trying different kinds but all of them taste the same to me. Someone tells me that a wine is sweet and I can barely stomach it. I think I'm destined to be a spirit drinker forever, much to my wallet's dismay lol! Just to say. .. These 3 whites were delectableand I will be Ken to hear about the Reds Rhianna. . That being my color of choice in the wine stakes. ... pics and notes please? Well it just so happens I may have sampled the red tonight and discovered that they are well and truly on par with their white counterparts. Thanks so much for joining me for my one new thing a week challenge! My dodgy pancreas doesn't allow me to drink wine so I find it hard selecting a good one to gift or take with us when we head to a friends for dinner. This is just perfect.